El Segundo, CA – July 11, 2011 – (RealEstateRama) — Partner Engineering and Science, Inc. reports increasing activity in due diligence for sales of REO and non performing loans by banks, announced company President Joe Derhake. This significant jump in activity is yet another indication that the market appears to have bottomed, says Derhake. Many lenders kept these assets on balance sheet for fear of taking losses in a declining market. The increase in REO sales suggests that the brighter tomorrow that both lenders and opportunistic investors have been waiting for may have finally dawned. For the first time in this real estate cycle, distressed sales outpaced addition to distress, according to a report prepared for Partner by Environmental Data Resources, Inc. Although a fraction of the $300 billion worth of distressed commercial real estate loans, an estimated $11 billion in distress related transactions occurred in the 4Q 2010 alone nearly as much as the $13 billion in all of 2009 and that trend is continuing in 2011. Although the distressed asset problem should continue for some time, our volume of activity for Phase I Environmental Site Assessments (ESAs) on distressed assets being brought to market by lenders is a positive sign and reason for cautious optimism for the remainder of 2011, adds Derhake. As a result, Partner continues to hire new scientists and open offices around the country to facilitate increased disposition of distressed properties by lenders, according to Derhake. Charlotte, Atlanta, San Francisco, Chicago and its headquarters office in El Segundo, CA. 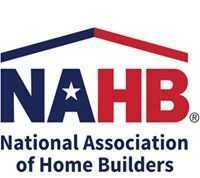 Along the way, Partner has bolstered its SBA, HUD, Building Sciences, and ALTA Survey practices. Partner has grown exponentially since being founded by Derhake in 2007. Today, Partner has more than 130 professionals in 23 offices throughout the U.S.
El Segundo, CA-based Partner Engineering and Science, Inc. http://www.partneresi.com is a national environmental and engineering consulting firm focusing on real estate due diligence, building sciences, construction monitoring, and environmental site remediation services.